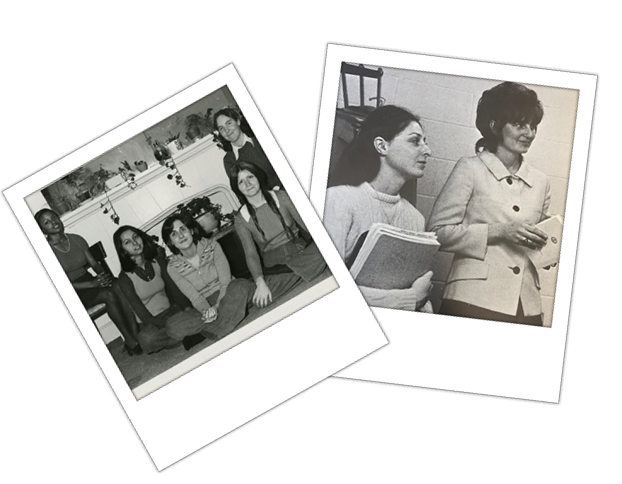 The fall of 2019 marks 50 years since Xavier’s undergraduate day program opened to women, breaking a 138-year, men-only tradition. To acknowledge this milestone, the campus will come together in a variety of ways. 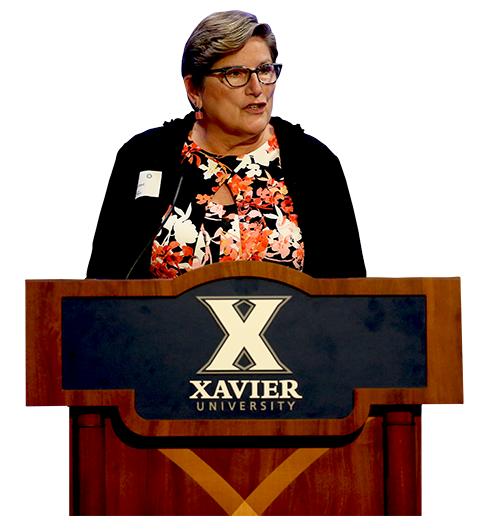 Through academic, student, athletic, mission, diversity, and alumni events and programming, we celebrate the contributions, achievements and sustaining impact that women have had—and continue to have—on Xavier University. New regulations mandating teaching certification led to the creation of the St. Xavier summer school program in 1914. In 1917, 93 nuns were enrolled in the downtown campus. 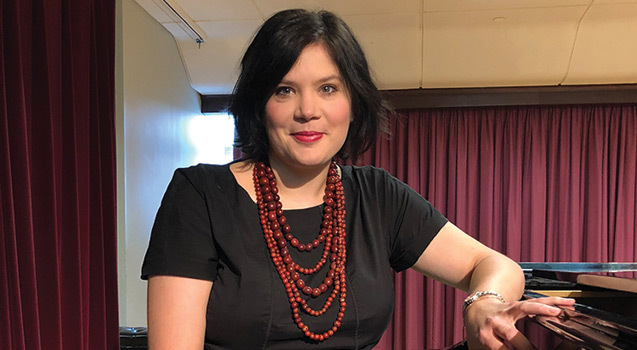 Alumnae Association formed. Catherine Carter, a School of Law graduate, became the first president and Luella Sauer, also a charter member, helped to create an annual scholarship. The 1973 Homecoming half-time saw the reinstatement of the Homecoming Queen tradition along with the establishment of the position of Homecoming King. With a grant awarded by the American Association of University Women to the Office of Career Development, student-professional mentoring pairs are gathering to engage in Debra Mooney's "Leadership Mastery and Moxie" career reflection guide on Jan. 30, Networking Skills on Feb. 11, and Breaking Stereotypes on March 30. Dr. Carolyn Finney, author of “Black Faces, White Spaces: Reimagining the Relationship of African Americans to the Great Outdoors" will address her work to develop greater cultural competency within environmental organizations and institutions. A performative collaboration between students and L.A.-based composer and pianist Josh Nelson will culminate in a fall public performance of a world-premiere choral piece and narrative celebrating Xavier's women. 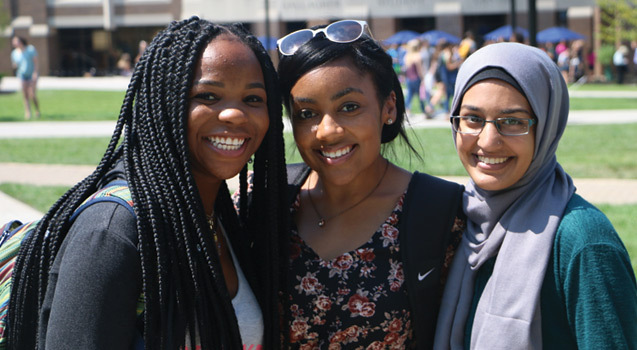 All-year, we are celebrating the contributions, achievements and sustaining impact that women have made and continue to make on Xavier University. If you are among the pioneering women who helped blaze the trail for today’s women of Xavier we want to hear from you. When Kay Lynch and Chuck Beckman were students at Xavier in the early 1970s, they had little to no interest in sports—not even basketball. Now, however, they’re superfans who won’t hesitate to stop and talk with the Musketeers’ basketball coach when they see him outside of the arena. Emmy-award winning reporter Soledad O’Brien urged a packed audience to use their own voices and experiences to set an example for leadership. 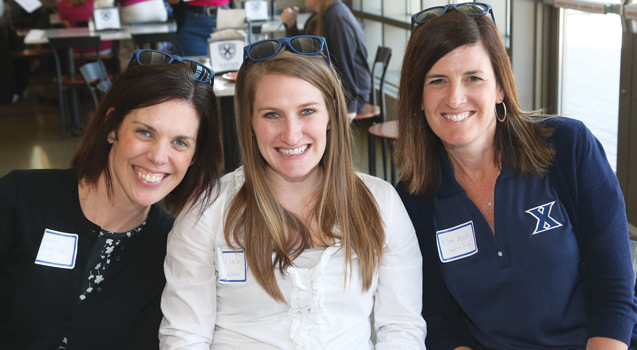 Created to honor, extend and advance the legacy of Xavier's and Edgecliff's extraordinary women graduates, as well as provide opportunities for women to grow as organizational and philanthropic leaders for the University.